For two people only!! Guest to have no visitors unless arranged prior. This is a lovely cottage situated on the back of our secure property and is about 60 sqm. INSIDE: The cottage has the lounge/dining and ensuite (shower room) on the ground level and one bedroom upstairs. We will provide Tea, coffee and Breakfast cereals throughout your stay. PONSONBY: Ponsonby is a heritage village ,filled with great cafes,restaurants and shopping. PLEASE CHECK CALENDAR AVAILABILITY BEFORE MAKING A BOOKING REQUEST!! GETTING AROUND: There is a Link bus route that can take you to the CBD, Newmarket and Parnell that leaves from the top of our street. A quiet and private, exceptionally appointed cottage, ideally located for amenities and transport options. A wonderful start to our adventure. Location is close to transport, shops and nightlife yet in quiet suburban street. Most comfortable cottage with everything needed for a short, medium or longer term stay. Spotless and modern interior with efficient A/C. Excellent free wifi. Found plenty of street parking at all times of day. Outstanding helpful hosts are among the best of the best. A perfect location for our trip to Auckland. A perfect location for our trip to Auckland. 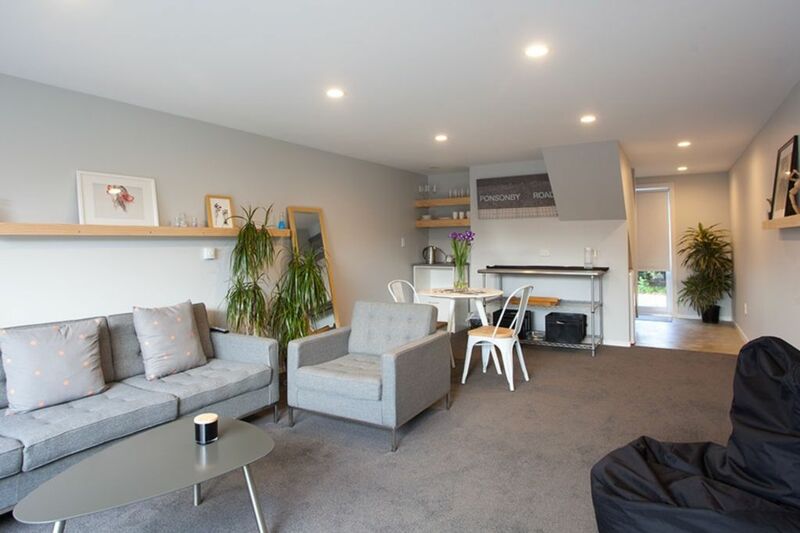 This apartment is central to Ponsonby and very quiet. Anita has all you need and more. Perfectly marked and amazingly organised. Gray Cottage is lovely, clean, pretty and extremely well equipped. Gray Cottage is lovely, clean, pretty and extremely well equipped. Although it is perfectly placed right in the heart of ponsonby's shopping and eateries, it is very quiet and peaceful. Parking can be quite a problem, although during our stay we always managed to find something. A lovely, clean, quiet cottage in a wonderful location. A lovely, clean, quiet cottage in a wonderful location. We were able to relax, as Anita thought of everything, and then some. I would recommend this place to friends and family, and hope to be back. Awesome property - so convenient to great restaurants, walks and runs. Awesome property - so convenient to great restaurants, walks and runs. Lovely cottage and lots of extras to make it feel special. Thoroughly enjoyed staying and will be back.